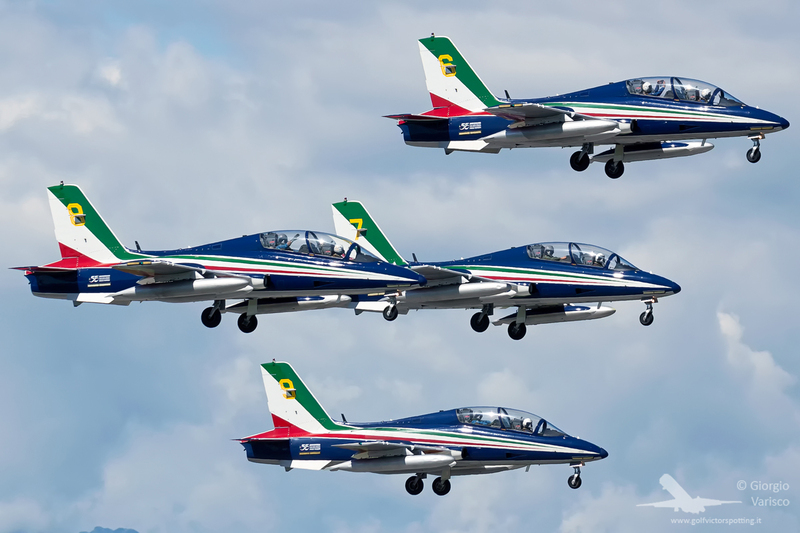 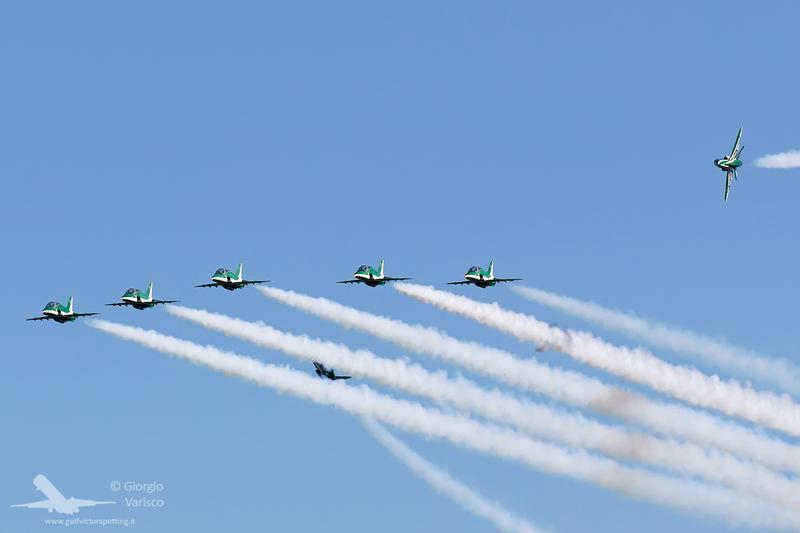 This year the Italian Air Force display team Frecce Tricolori celebrated the 55th Anniversary since its foundation. 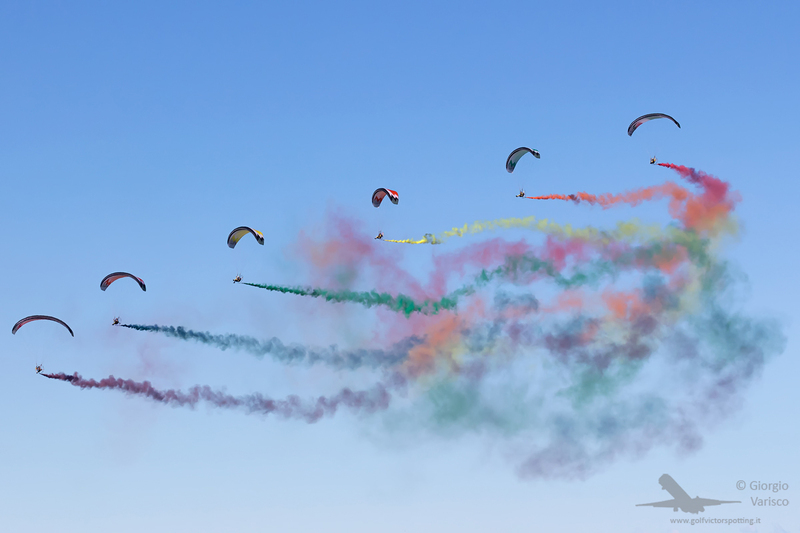 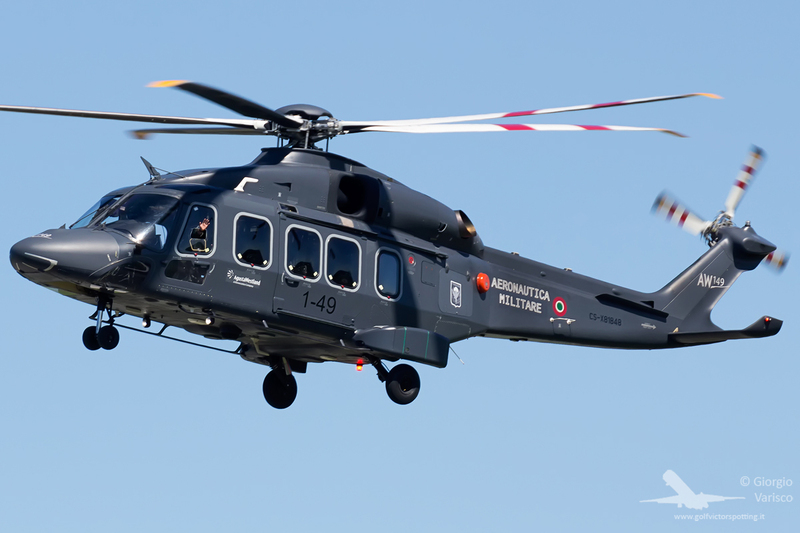 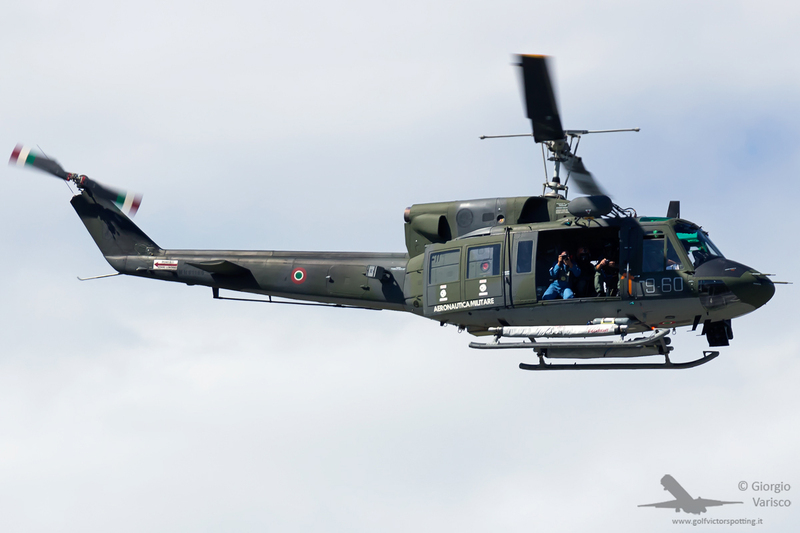 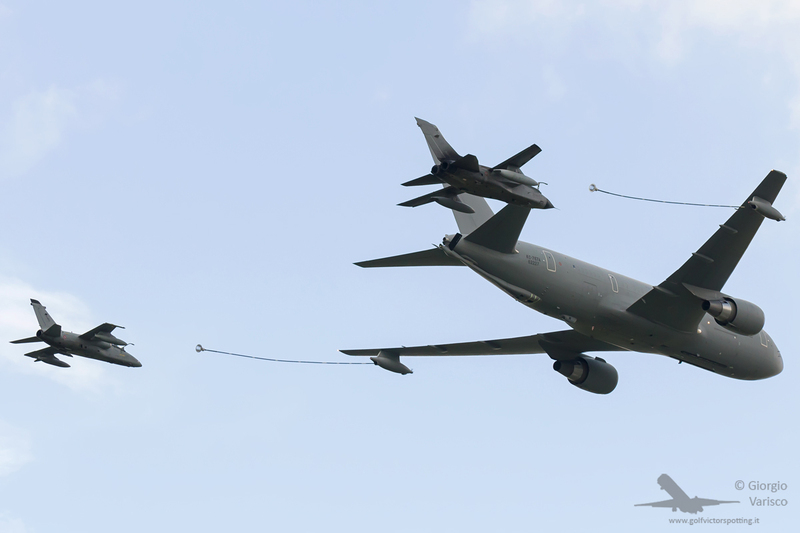 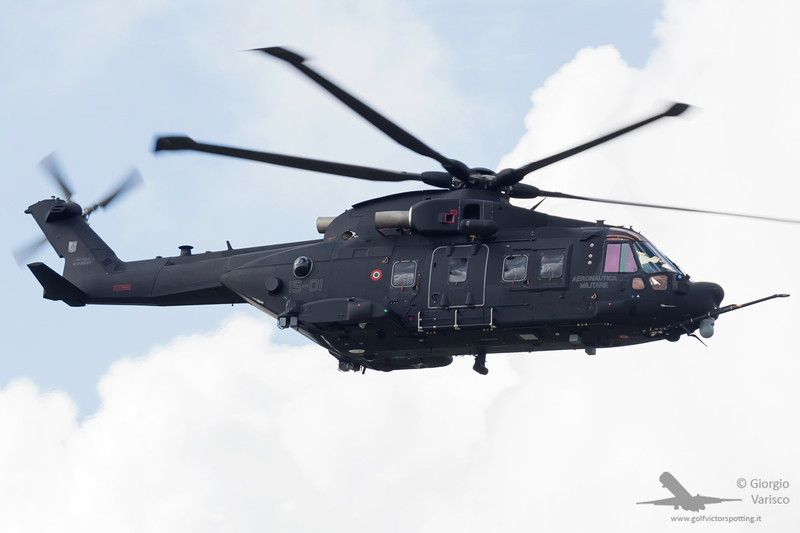 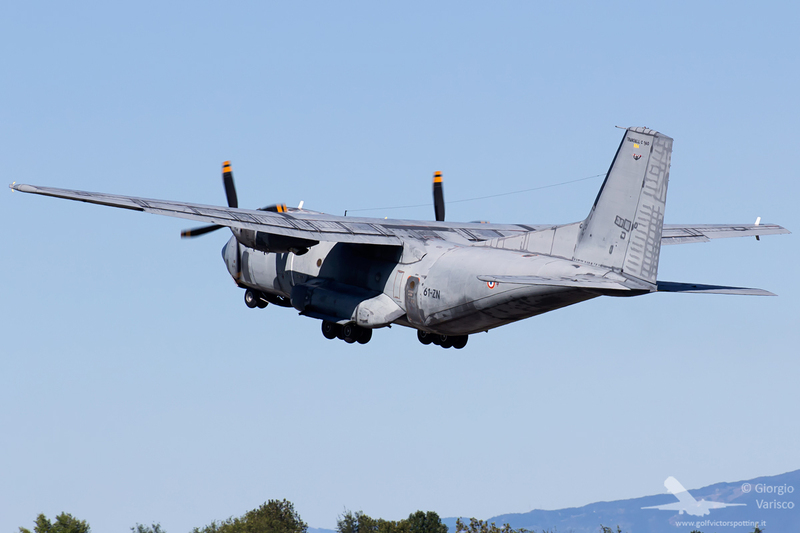 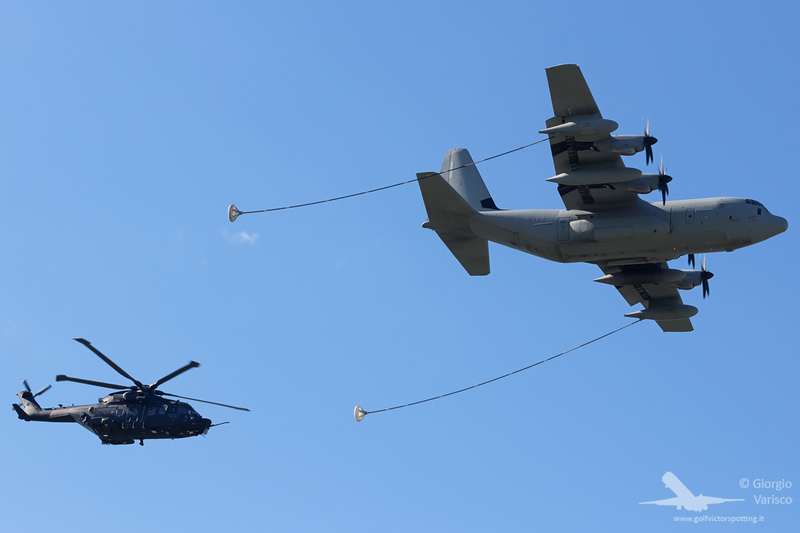 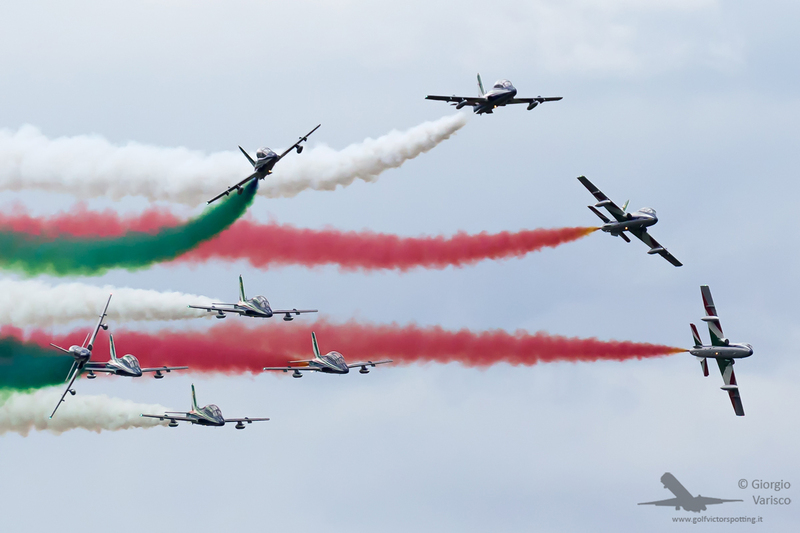 To celebrate this event, a unusually (for Italy) big airshow was organized on their homebase, Rivolto military airport. 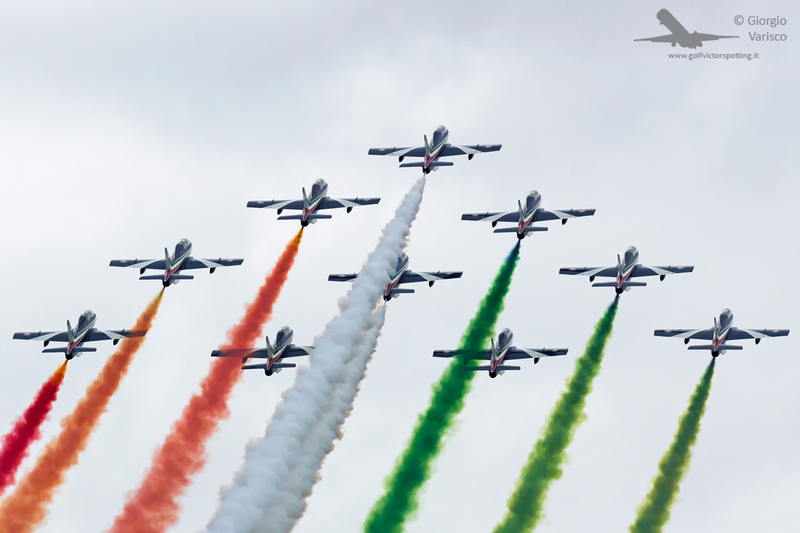 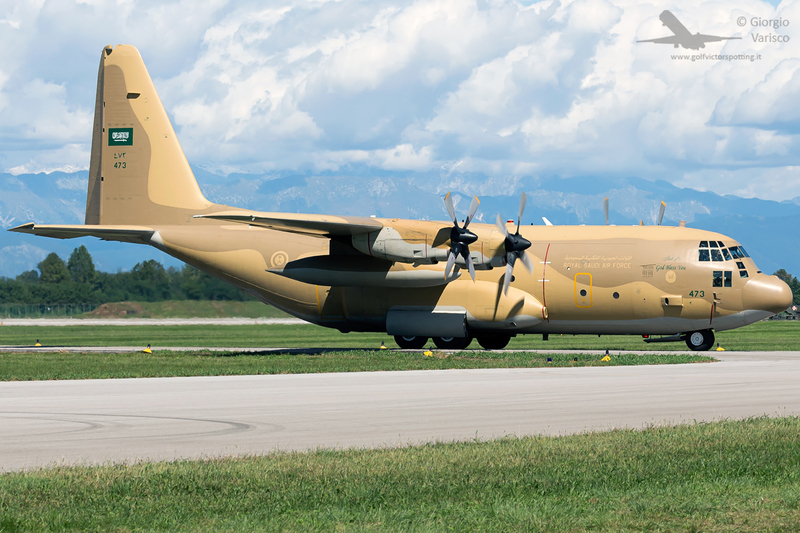 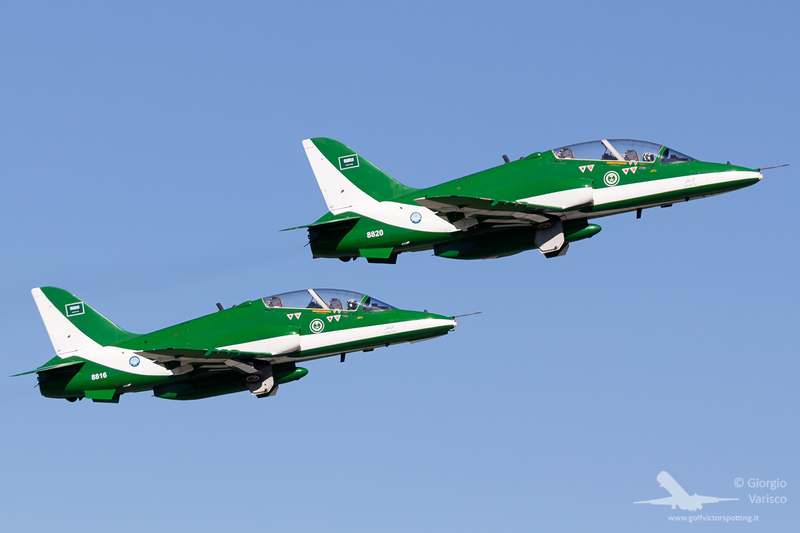 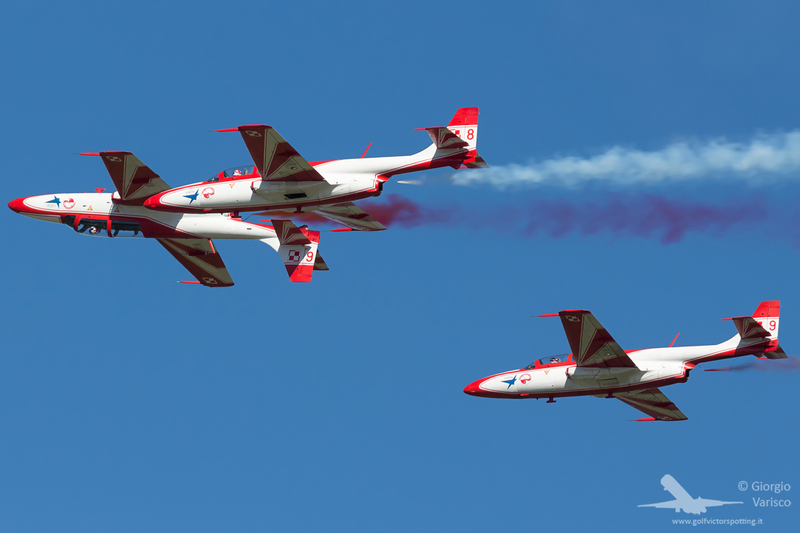 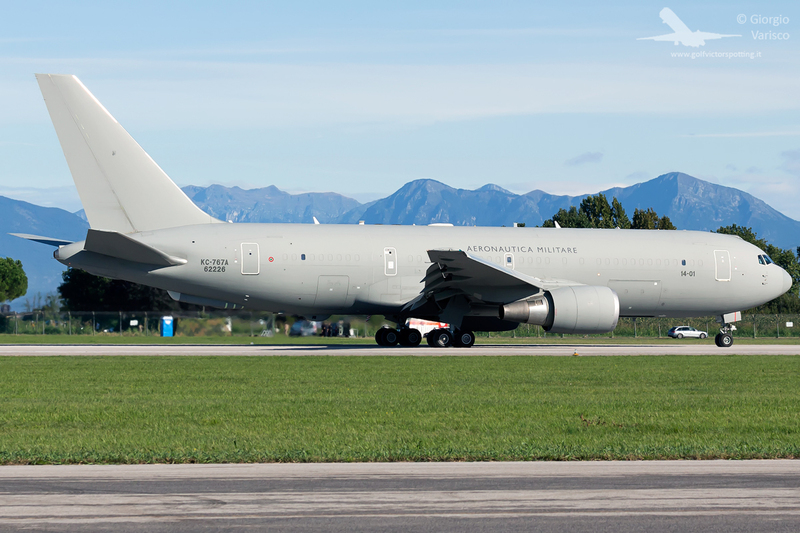 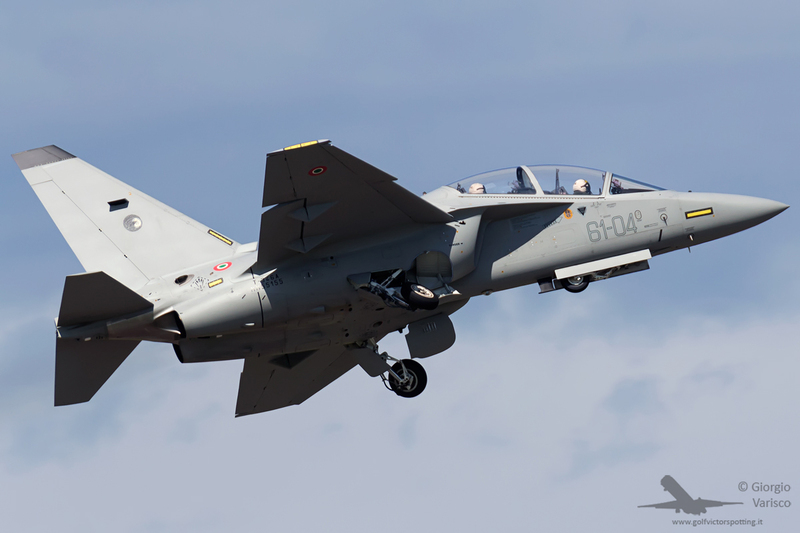 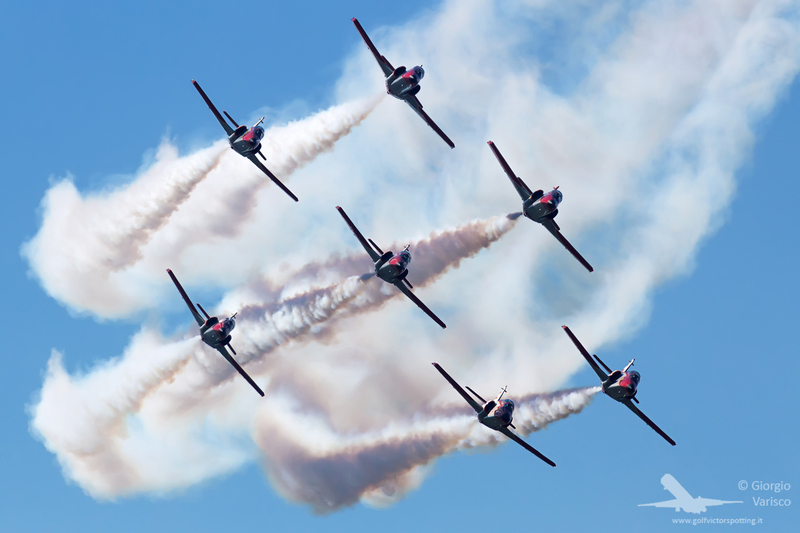 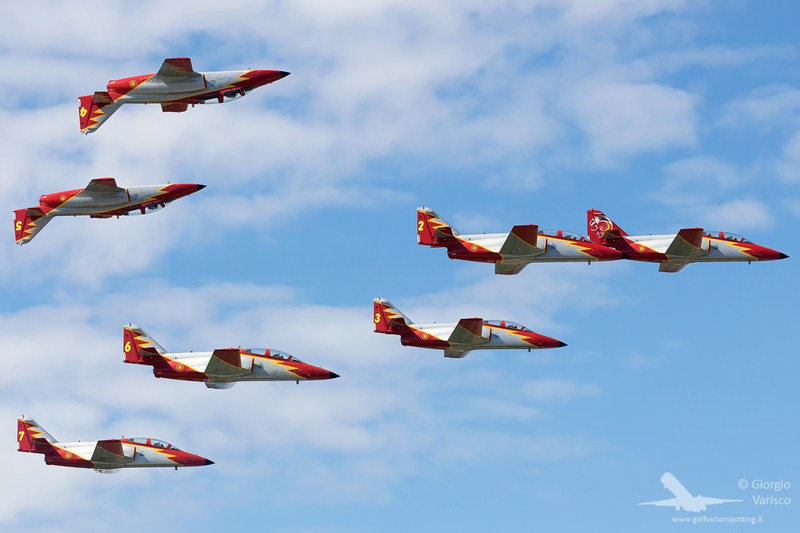 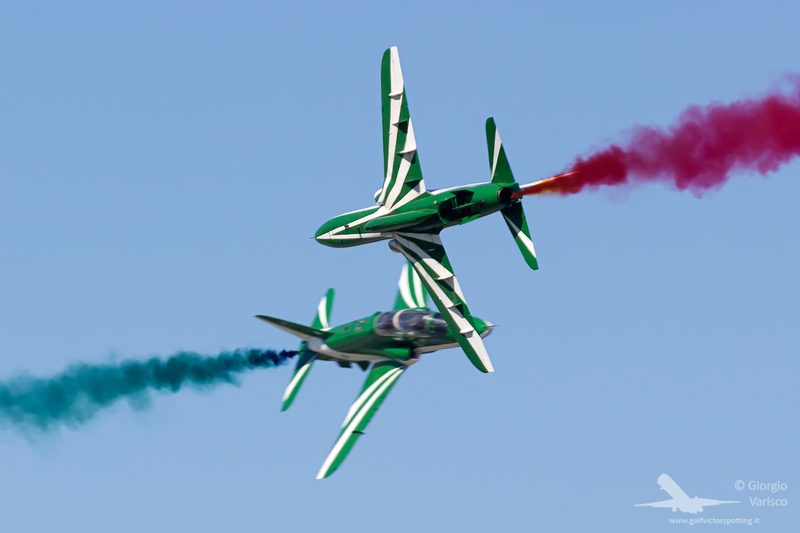 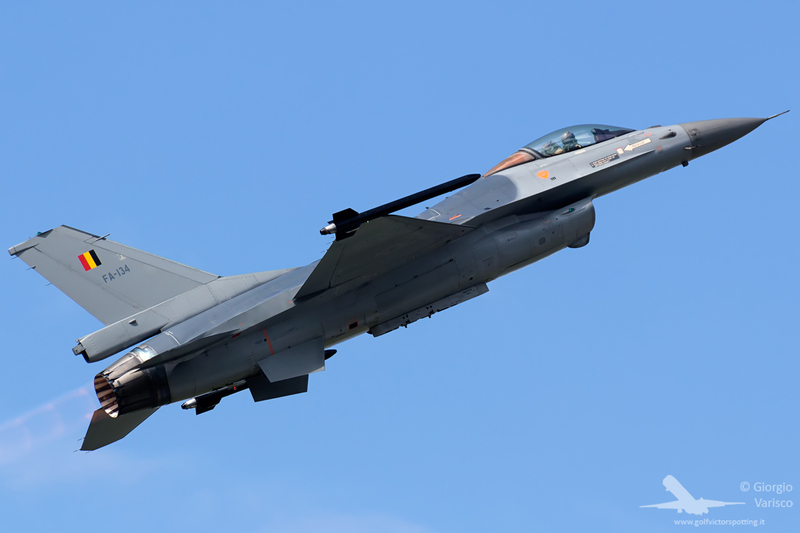 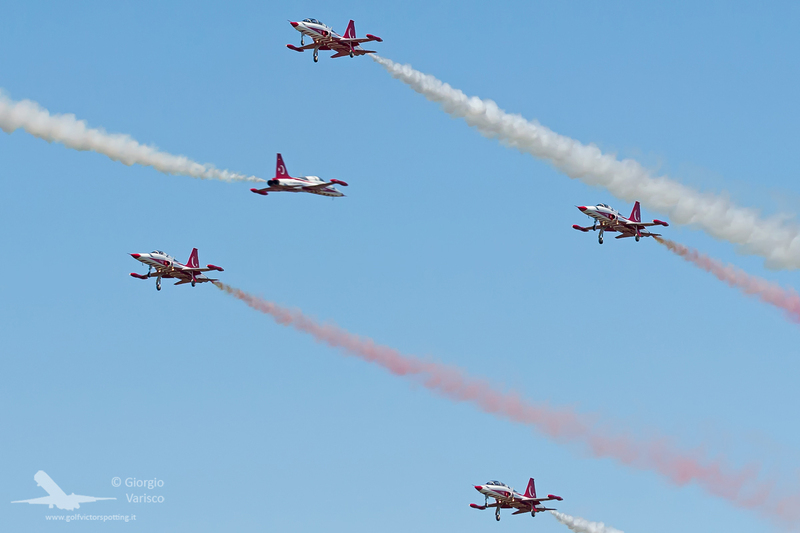 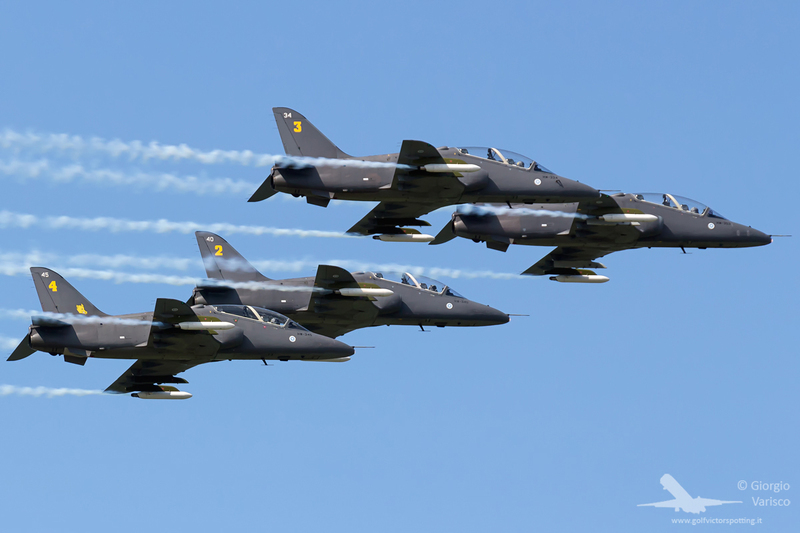 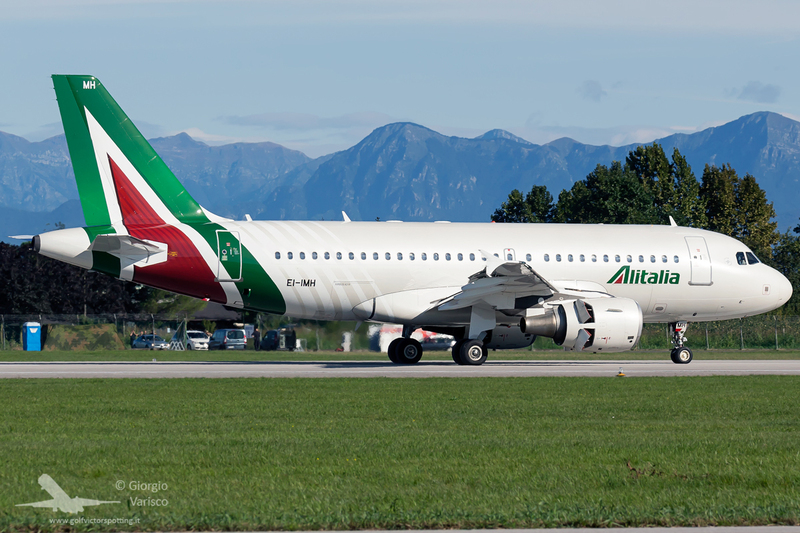 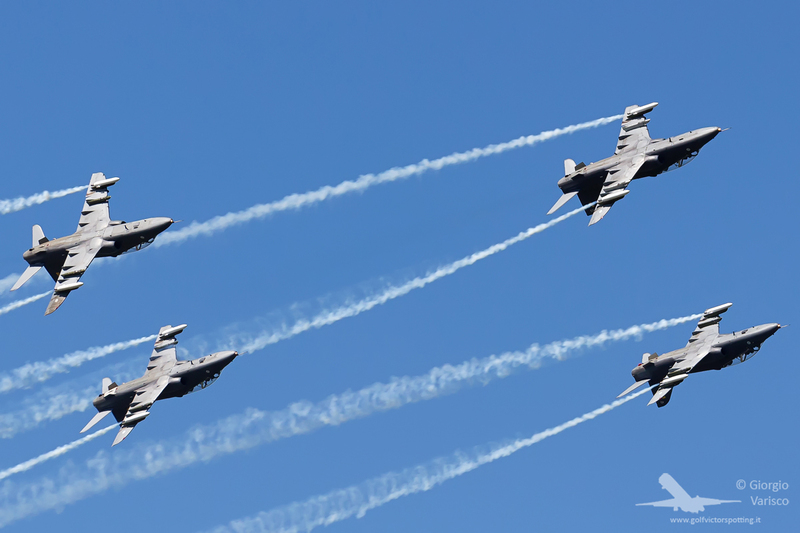 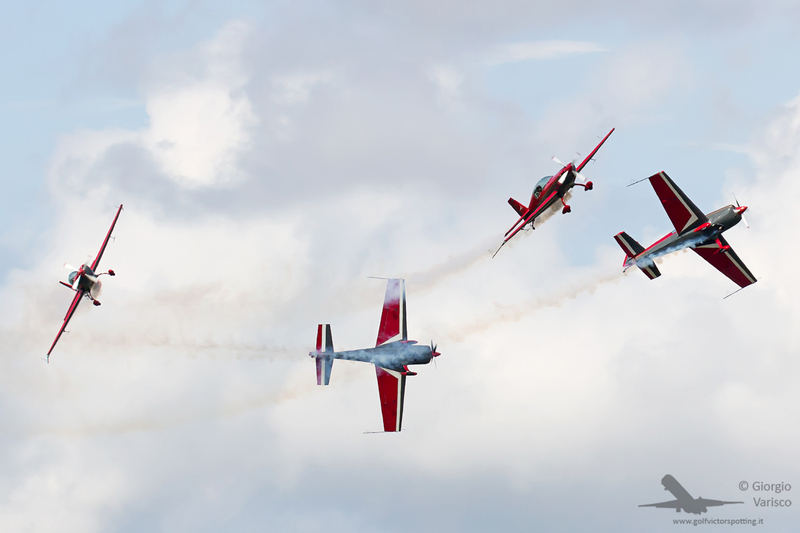 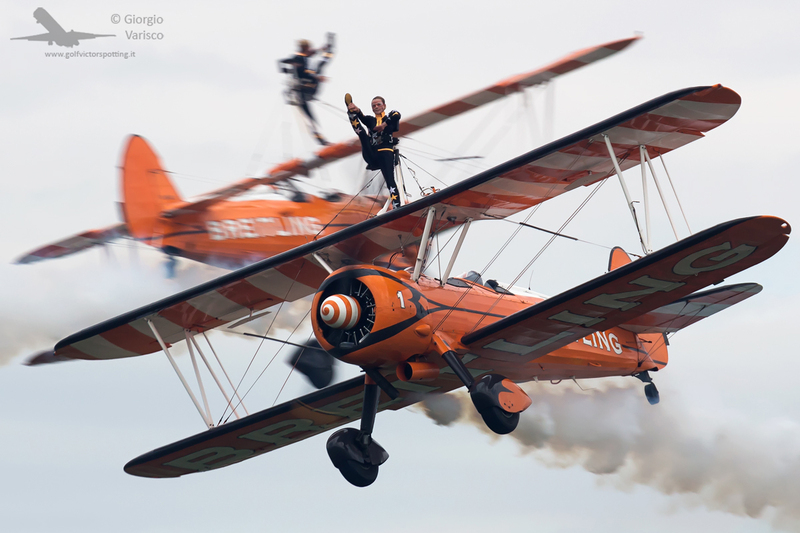 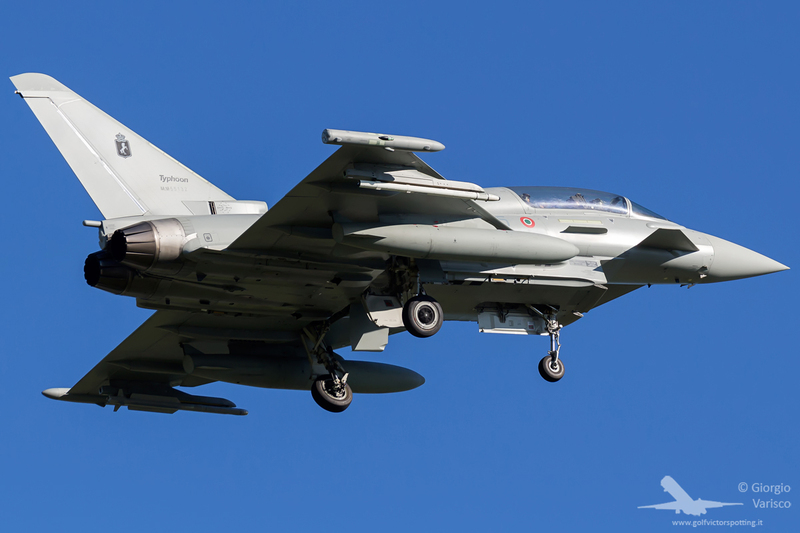 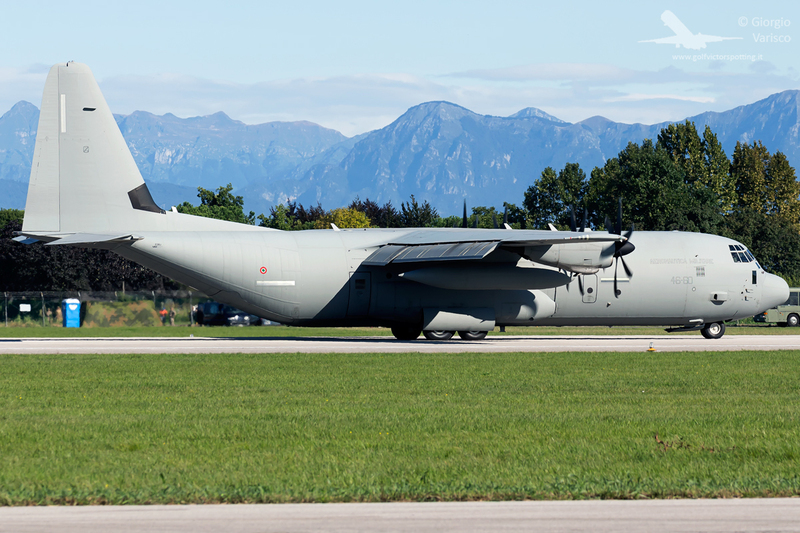 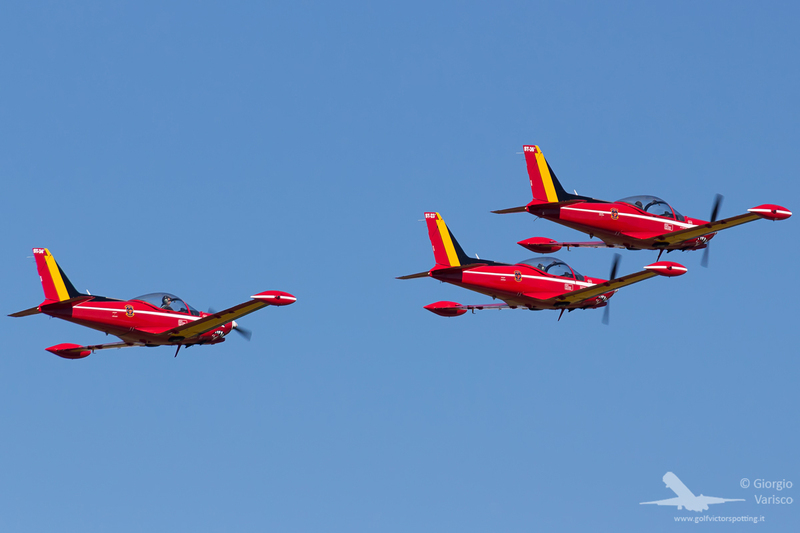 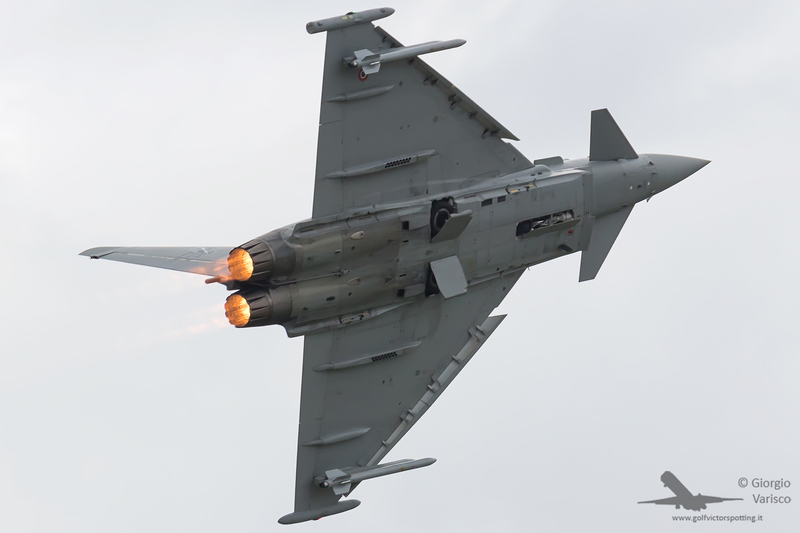 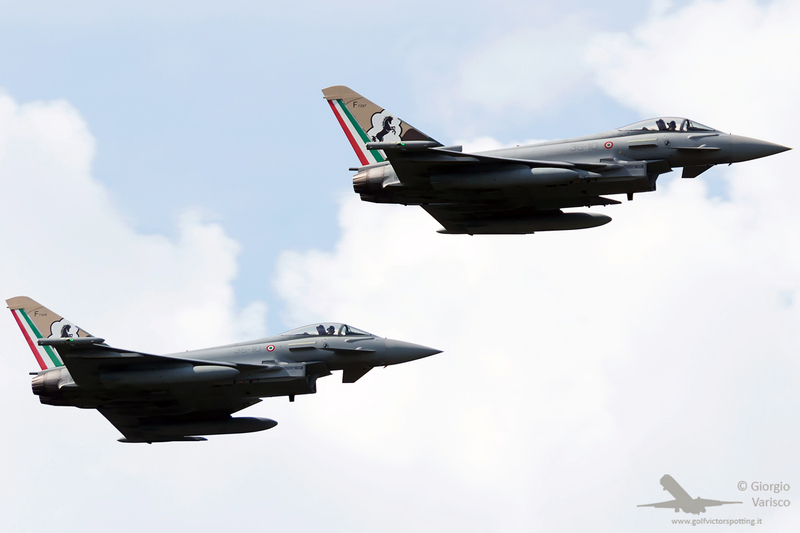 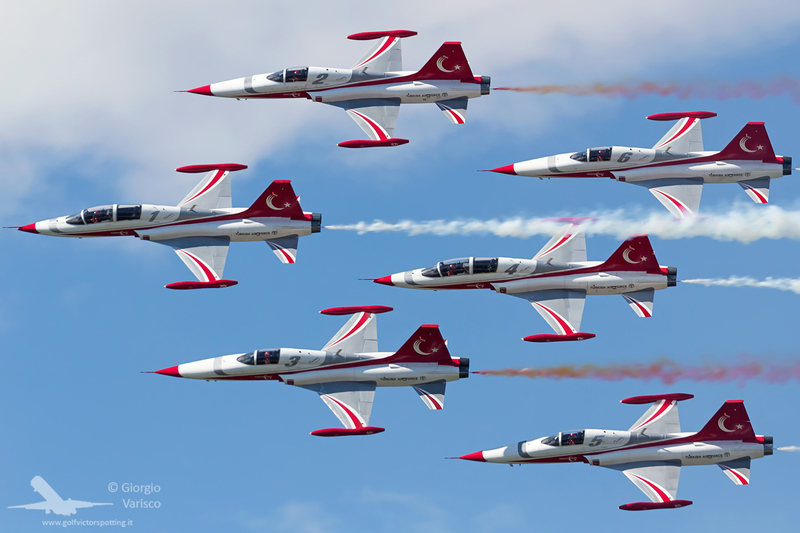 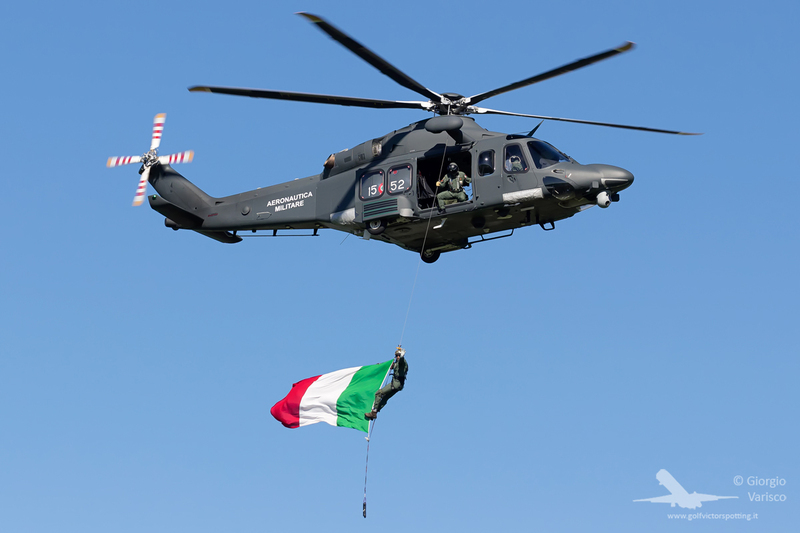 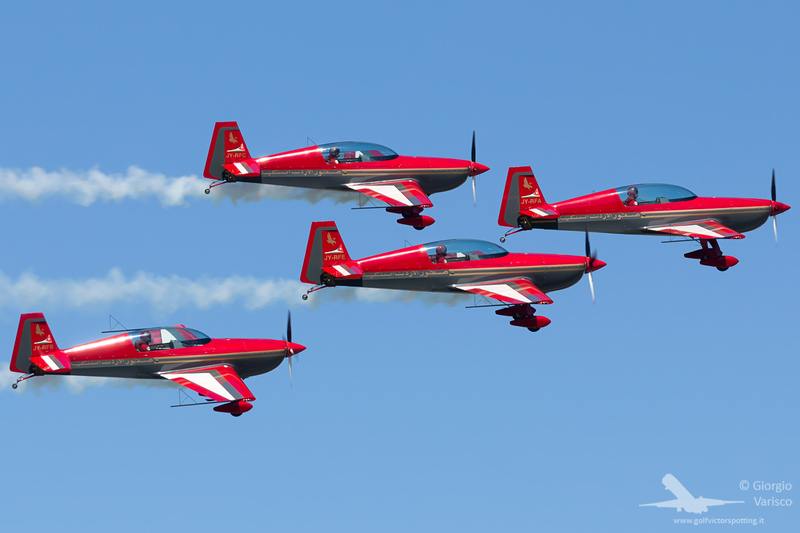 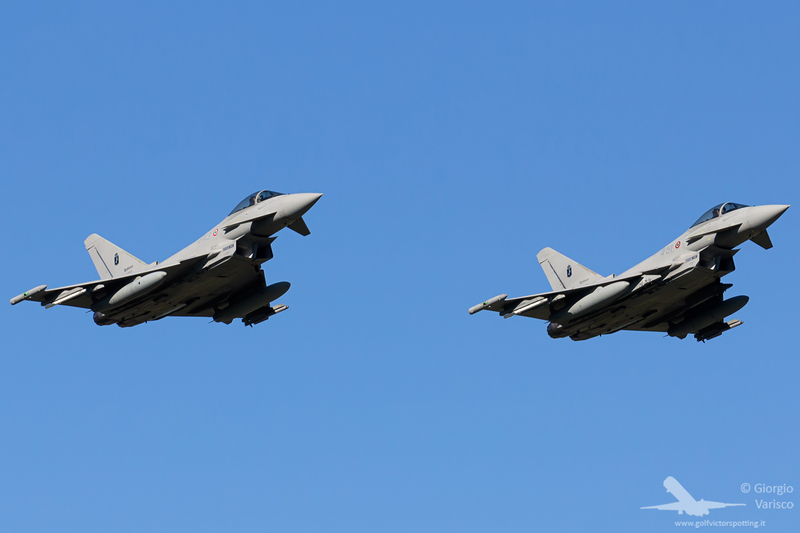 The Italian Air Force showed almost all its airplanes, and several foreign display teams and airplanes were invited. 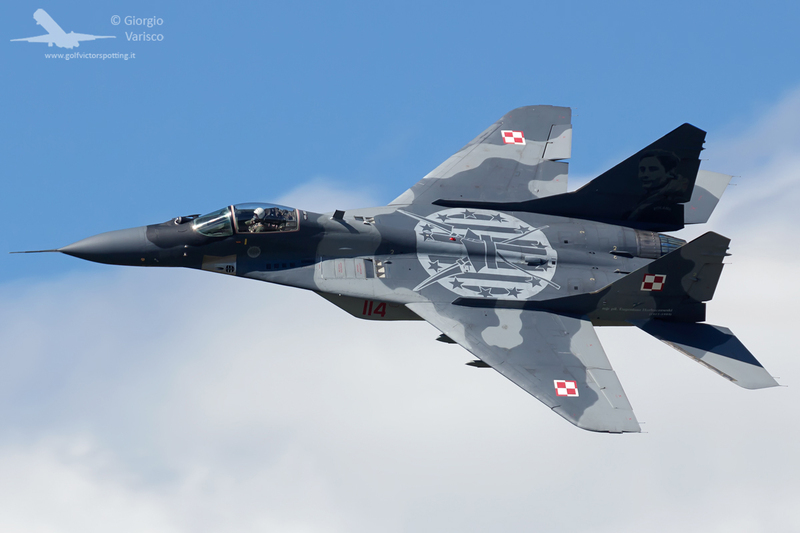 Polish MiG-29 Fulcrum. 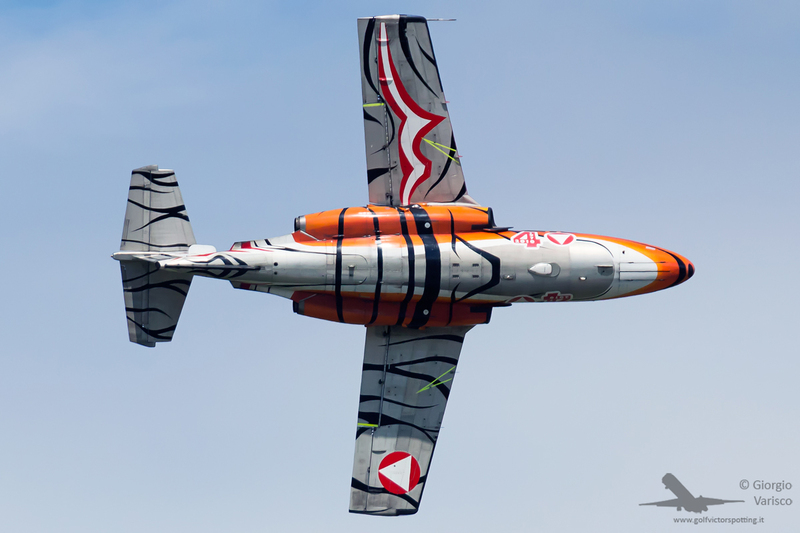 Its livery is dedicated to Eugeniusz Horbaczewski, 3rd top scoring Polish Ace of WW2. 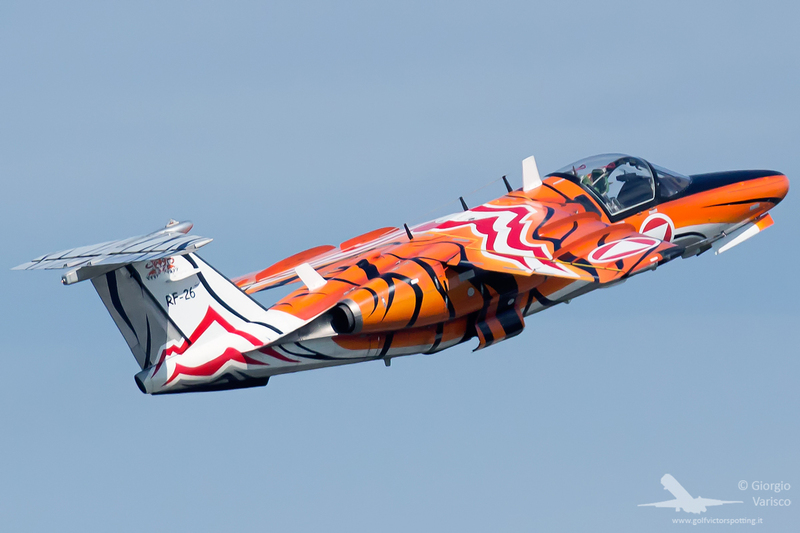 Austrian Saab 105 in Tiger Meet livery. 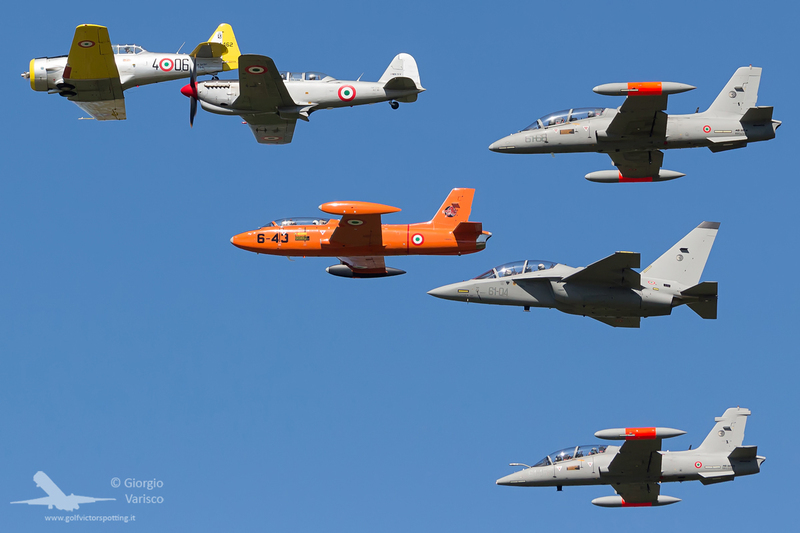 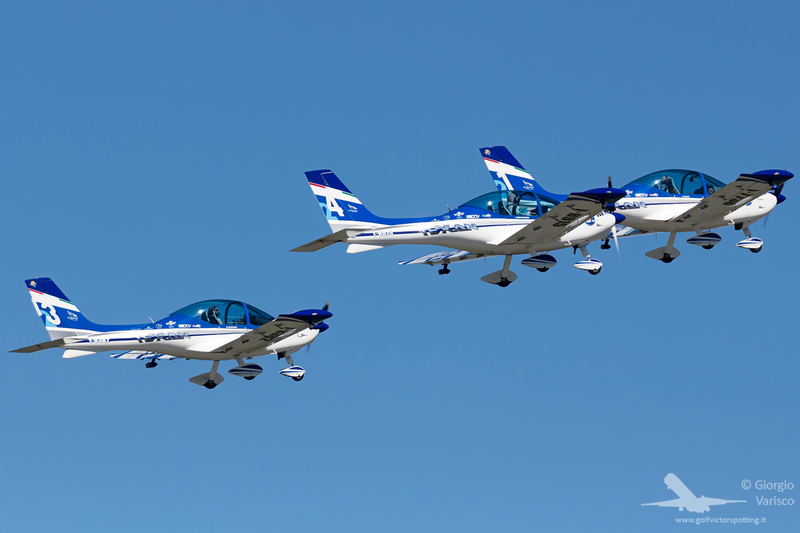 The Saab 105 is a trainer which can be configured for VIP transport missions by adding 2 seats behind the pilots. 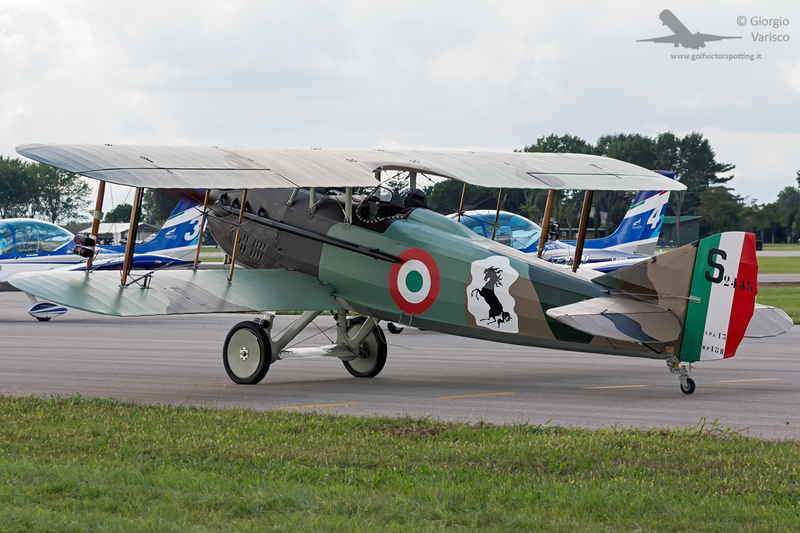 A replica of Francesco Baracca’s Spad XIII. 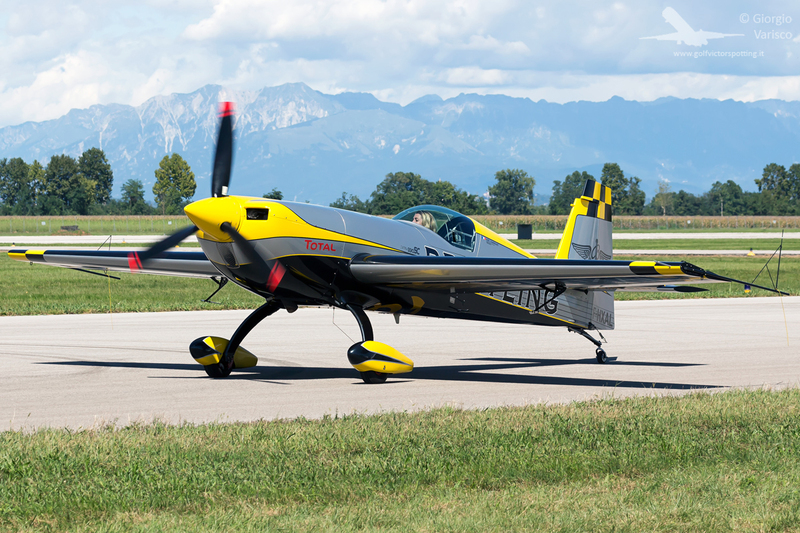 Does the prancing horse drawing on its fuselage look familiar to you? 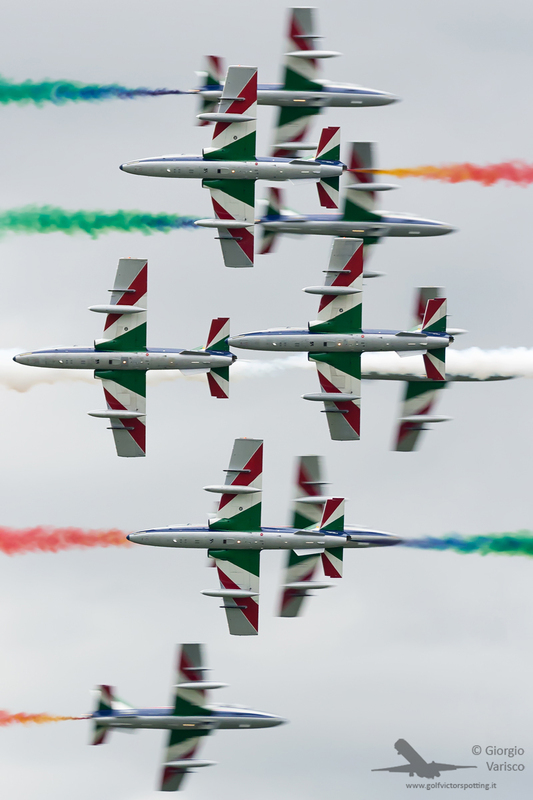 It was Baracca’s personal symbol, and after his death the Baracca family donated the symbol to a young Enzo Ferrari, telling him “Put this symbol on your racing cars. 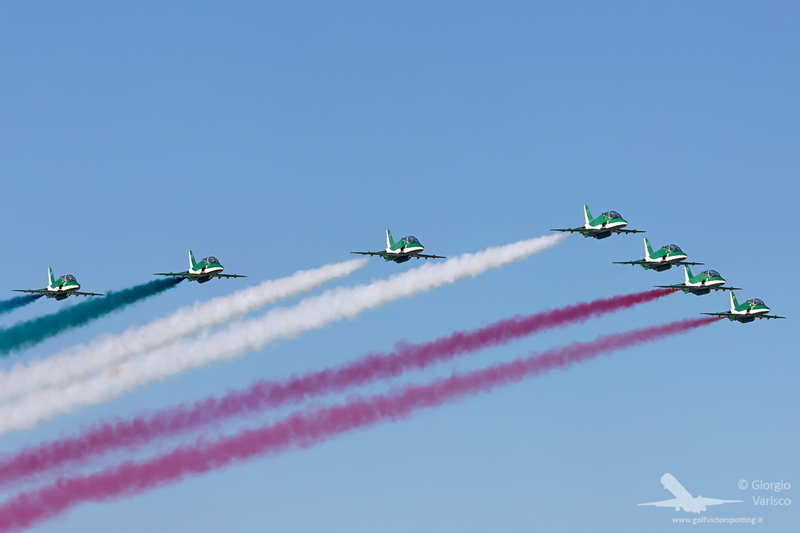 It will bring you luck”. 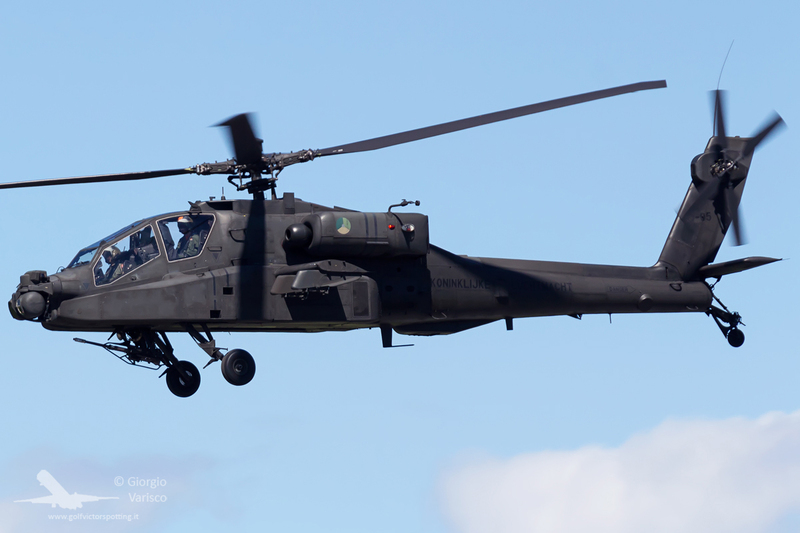 The only change was the tail, moved to upright position. 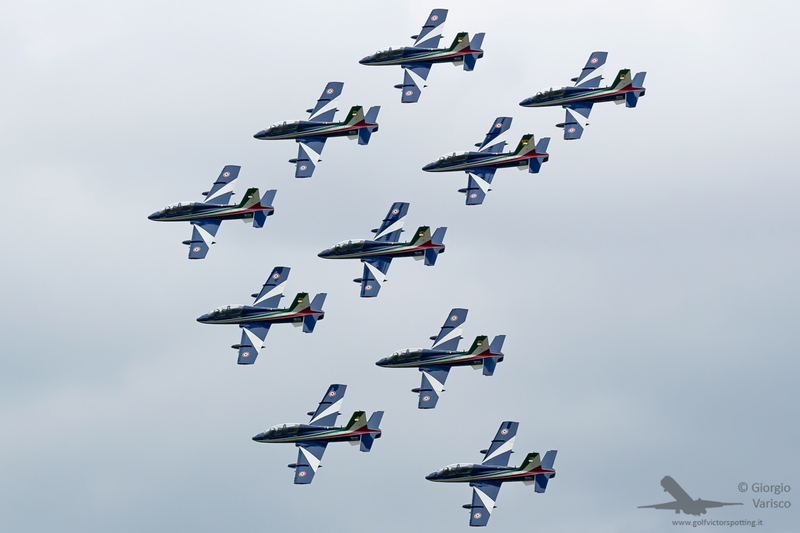 Frecce Tricolori, which sported a slightly revised livery to celebrate the anniversary. 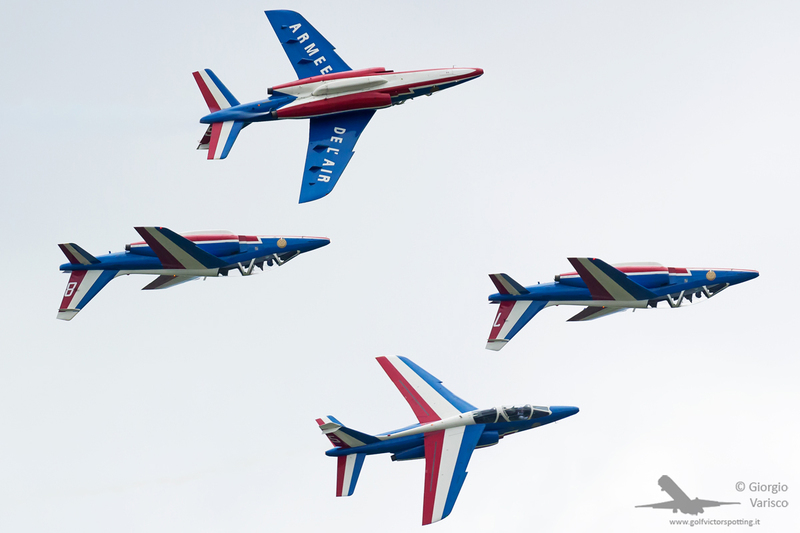 The new figure, the “Scintilla Tricolore” (“3-coloured spark”).